It would be easy to relegate health literacy to copywriters online, and healthcare professionals in appointments. But health literacy goes well beyond reading, writing, and talking about health. This is a holistic issue. And that makes it a content strategy problem. Health literacy is the #1 indicator of successful health outcomes. In other words, how well you understand health information is directly correlated with your health. Moreso than your socioeconomic status, your age, or your education. Like so many areas of our health system, health literacy is lower among minority groups and lower socioeconomic groups. That said, only 12% of Americans have basic health literacy. This is a problem which impacts us all. As an example? My own father, a University Professor, professional adjudicator, and business owner, nearly took a fatal dose of a medication because he misunderstood his provider’s instructions. He thought glucagon was the same as insulin. In reality? 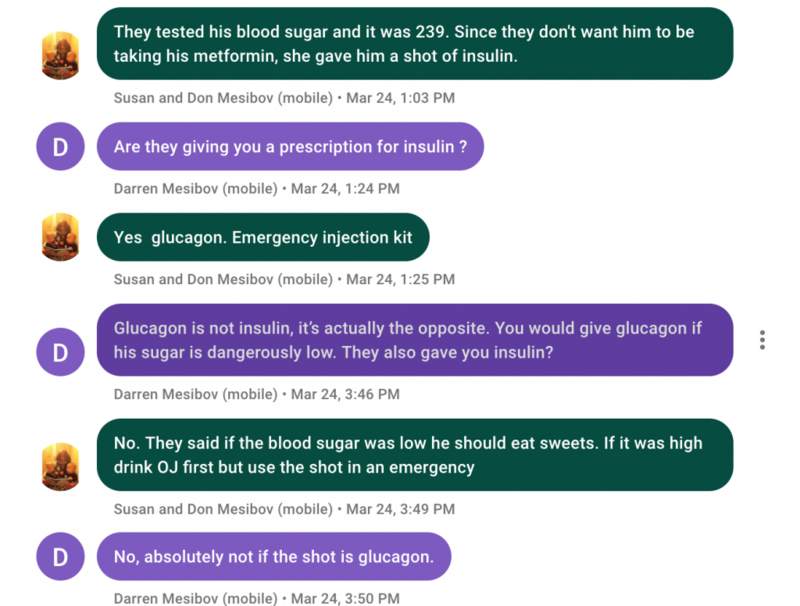 They are opposites: glucagon raises blood sugar, insulin lowers it. If my brother hadn’t corrected the misunderstanding, my father might have taken a fatal dose of glucagon. My father misunderstood. That’s clearly a health literacy problem. Other people are afraid of going to the doctor. They may hear the doctor say “go to the ER immediately” and assume the doctor is exaggerating. They may be diagnosed with dangerously low blood pressure, but decide it’s not a problem because they feel fine. These are also health literacy problems. When people don’t understand why their health matters, they are lack health literacy. 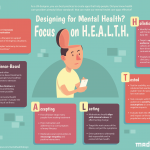 Functional health literacy is the ability to read and write about health information. Someone who has functional health literacy can find the name of their prescription or pick the date out of an appointment slip. Interactive health literacy is the capacity to ask questions and discuss health information. Even if someone can read the information, they may not know what questions to ask, or feel comfortable talking about sensitive topics. They may not trust their provider or understand when and who to ask when they do have questions. Critical health literacy is the skill of analyzing health information. This is the most difficult level. Someone with critical health literacy can read multiple prescriptions and determine how they can or can’t be combined. They can take information from their provider and apply it to their life. Content strategists view the world holistically. When it comes to healthcare, this means we can make a big difference. Functional: Write in plain language. Define complex health terms. Use images and videos. Help people understand what’s written. This is great for people trying to read discharge papers or doctor’s notes. It’s the area we have a huge impact when it comes to websites and apps. Interactive: Content strategists aren’t in the waiting room or the doctor’s office. But most health decisions don’t happen there. They happen in the grocery store, at the gym, in the car, in a restaurant, or at home. 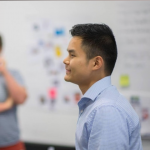 When you work on a project that impacts someone’s health, think holistically. Can you suggest they speak to a doctor – and offer advice on how to bring it up? Or can you encourage them to connect this information to their health in general? Critical: The hardest part is helping people connect the dots, and make their own health decisions. The best thing we can do is decrease the number of areas they need to do critical thinking. Why should it take critical thinking to understand how to take two prescriptions together? It shouldn’t. We can decrease this work from critical to functional. Health Literacy Universal Precautions, a set of guidelines designed to assume all patients are low literacy. 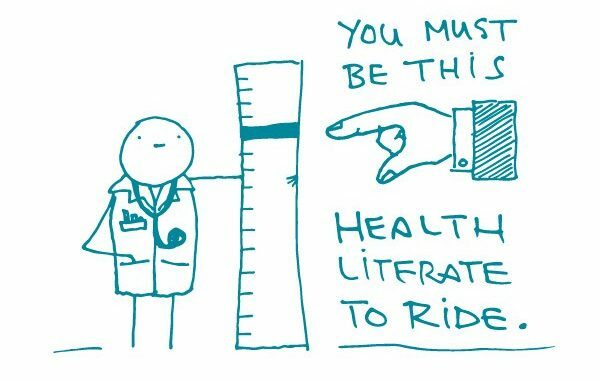 The Patient Safety Network’s primer on health literacy. The CDC’s list of Health Literacy Activities, some of which they help fund via grants. Ask Me 3®, an educational program that encourages patients and families to ask three specific questions of their providers to better understand their health conditions and what they need to do to stay healthy. You can improve health literacy in your daily work.